Hotel rooms are located at the central building’s first floor and promise enjoyable accommodation. There are single, double or triple bed rooms. Some offer sea or pool view and other mountain view. 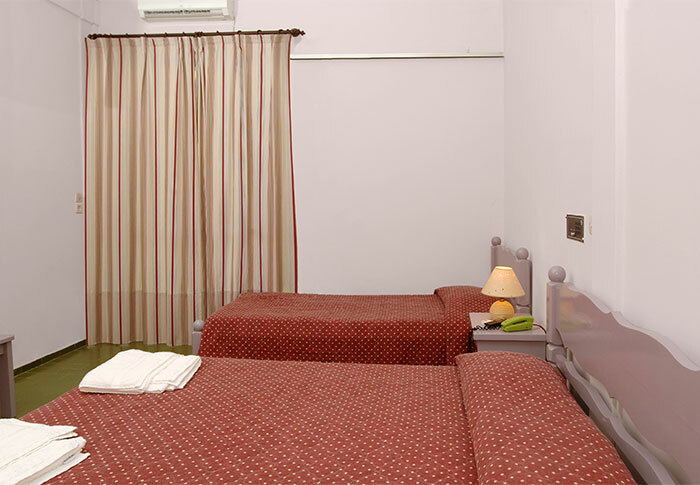 The Studios are comfortable rooms that offer a restful accommodation equipped with kitchenette and spacious bathrooms. There are double or triple rooms fit to host up to 4member families. Available with sea or garden view. 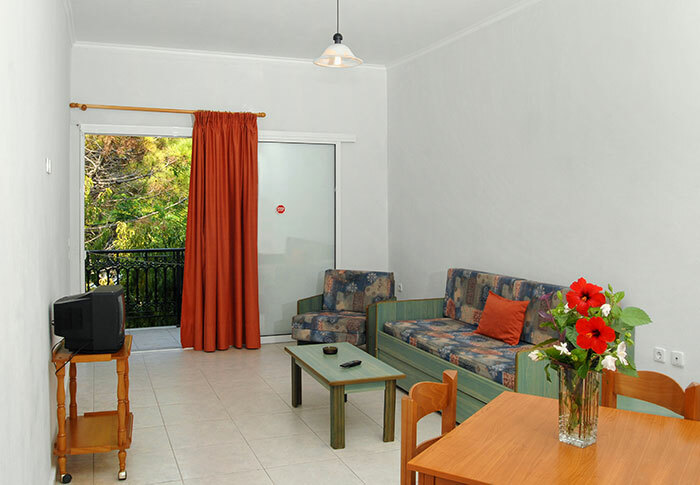 Mimoza Beach Apartments are located at the first floor of a separate building. They are equipped with a spacious bedroom, living room, dining and an open plan kitchen. Garden level bungalows are single or double bungalow buildings; they have a vintage character and are suitable for guests who seek total relaxation. They are available for single or double use. Some are equipped with an extra single bed so as to host up to 3member families. All bungalows’ outside walls are decorated by the well known artist, George Siountas, with unique drawings. They offer sea or garden view.